Tommy Evans was born and raised in Duncan, OK where his parents and many relatives still reside. He now lives in Midwest City with his wife, Denise, their two Labradoodles, and a herding dog mix they affectionately call their “borderline collie”. 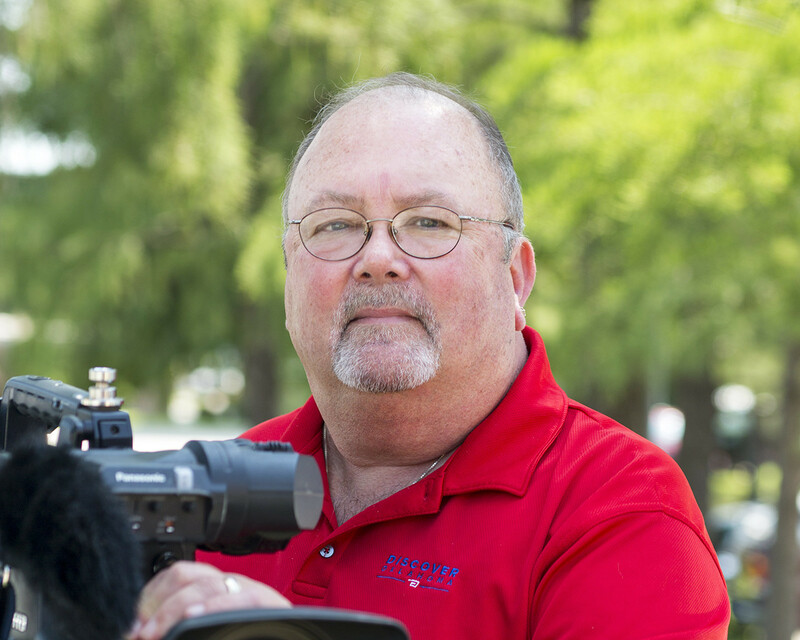 Tommy joined the Discover Oklahoma family as Videographer/Editor in September of 2001 after working for KWTV in Oklahoma City for 21 years. While working in the marketing department at KWTV, Tommy earned regional Emmy nominations for short and long form editing. His endeavors also received awards from the Oklahoma Association of Broadcasters, the Oklahoma City Ad Club, and even a Redbud Award from the Oklahoma Tourism and Recreation Department for outstanding promotion of an event. Tommy has also received the coveted CBS Eye on Excellence award for one of his promotional projects. More recently, Tommy and former Discover Oklahoma Executive Producer, Shel Wagner teamed up to win Telly Awards in back-to-back years for stories they’d created for Discover Oklahoma. Also, an accomplished still photographer, Tommy is a charter member of the Metro Camera Club in Oklahoma City and has been an active member since 1977. His photos have graced the covers of Oklahoma Today magazine and Outdoor Oklahoma magazine and have been used in calendars, post cards, brochures, and print ads. Whether in print or on video, Tommy loves exploring all Oklahoma has to offer and sharing it with others.